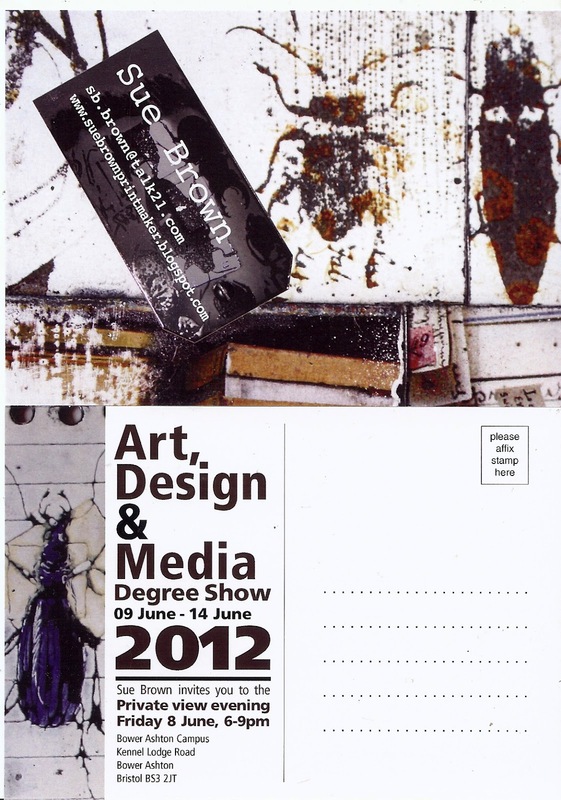 After 3 years of hard work and experimentation I am coming to the end of the Multi Disciplinary Printmaking MA course at the University of the West of England. Dates have been set, spaces allocated and the work is almost completed. 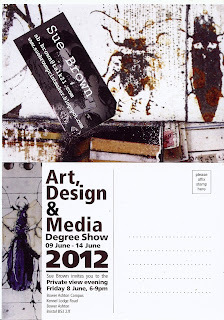 If you find yourself in between street parties and in the Bristol area between 9 -14 June pop along to the Bower Ashton Campus and enjoy the work of the class of 2012. Are you kidding? I'm making a special trip home especially to see it if I can. I really want to see the final outcomes of all your hard work and being around the innovative work of lots of printmakers cannot fail to inspire. I'd like to see Wendy's work too so consider the invitation accepted! Would have loved to see your work in real life - sigh! Will look forward to your blog pictures though! Good luck.